Many of you will be well aware that the shocking level of service delivery predates any action by RMT members or our colleagues in ASLEF. The operation has lurched from crisis to crisis from the day that Govia Thameslink Railways (GTR) took over the management contract. GTR is pretty much a unique contract model on Britain’s fragmented railways. It’s not a franchise. The company doesn’t take the fare box, they take no financial risk and get paid by Chris Grayling and his officials regardless of how they perform. As a result, when performance has dropped through the floor even on the government’s own indicators, the company has been paid up and cheered on by Ministers and their officials, while commuters have been left to stare at departure boards full of delays and cancellations. This is important background to the guards’ dispute, as it shows that GTR/Southern is a highly politicised operation with government calling the shots. When we were first confronted with the plans to expand ‘Driver Only Operation’ and the watering down and removal of the guards, we sought to negotiate a settlement. The idea that RMT was locked in, and that the issue was all about who opens and closes the doors was blown away when we negotiated a settlement in an almost identical dispute with the private operator Scotrail. This settlement altered some of the existing staff functions whilst protecting safety at the crucial passenger/train interface and disabled access. We said at the time, if it’s good enough for Scotland, then it’s good enough for the South. But every effort we made to negotiate an agreement on similar lines was blocked off by Southern, who went as far as to say there was no similarity between the two parts of Great Britain! It was that sheer intransigence that led us to take industrial action last April. We sought to reach an agreement only to be given the run around every time we tried to get the talks process going. 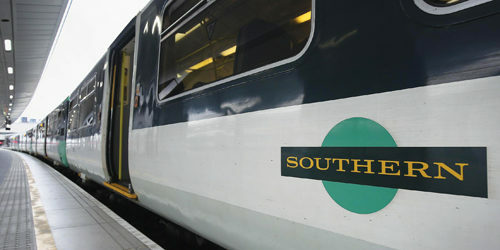 Southern then launched their ill-fated “Strike Back” campaign which backfired big time when passengers made it clear that they valued their rail staff, didn’t want to “strike back” at them and wanted the company to negotiate a settlement. 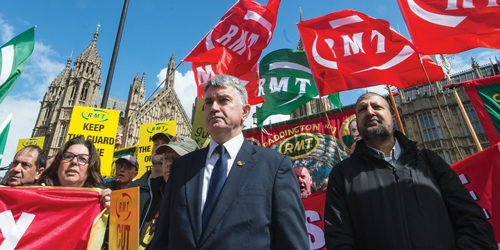 Throughout the last 15 months, RMT has continued to push for talks and to reach an agreement. In July we offered to trial a new proposal based on an “accessibility guarantee” which would ensure that there was a guard or an ‘On Board Supervisor’ on every train to ensure that the company complied with disability access legislation. Again, we were snubbed with the company saying that they would not move an inch from their plans. RMT has always said that if there isn’t a guard/OBS guarantee then over time more and more trains will end up with only a driver to manage accessibility issues, security and safety critical functions. On a failing service like Southern, where overcrowding and unreliability are rife, we have warned that this is a recipe for disaster. Following the general election, and the re-appointment of Chris Grayling as Transport Secretary, RMT made yet another push for talks. For the first time, we had a chance to set out our case to the Minister holding the GTR contract. It was only through that pressure that we were able to secure another face to face with Southern, but once again that process stalled. But we have not left it there. It is crystal clear to us that we now need talks involving all parties with a direct interest. Those round table discussions should include the unions, the DfT and the company. It is surely common sense to have everyone who is in a position to sign off a settlement in the same room, at the same time and without any pre-conditions. GTR have shown no interest in round table talks but the union will meet again with Chris Grayling to press him to make it happen. RMT firmly believes that a solution to the Southern Rail dispute, and a longer term solution to the structural problems of the whole GTR lash-up, is still achievable. The dispute has never been about money for our members, it has been about protecting a safe and accessible railway for the communities that they serve and live in. 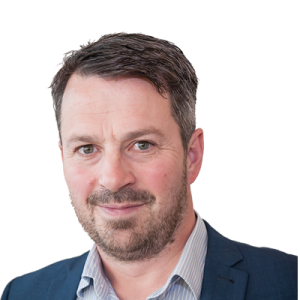 I would appeal to the company again through your magazine for the round table discussions that we believe are now essential to moving the process forwards. Nobody has anything to fear from genuine and meaningful talks that bring all parties to the table in the same place at the same time. We would welcome any pressure that can be brought to bear, to help us make that happen.